Su appuntamento, si prega di contattare la docente via email. 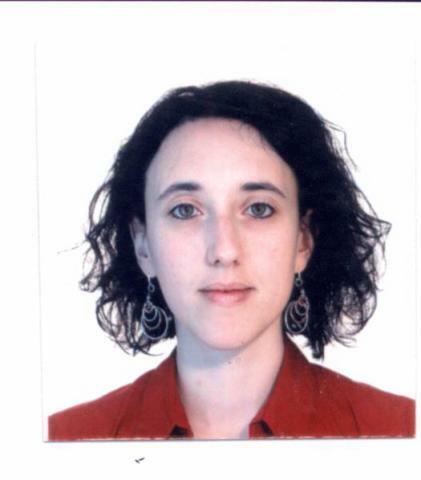 Dr Chiara Giorio is tenure-track Assistant Professor at the University of Padua (Italy). She received her degree in Chemistry in 2008 from the University of Padua (Italy), where she then completed her PhD in Molecular Sciences in 2012. She was postdoctoral researcher at the University of Cambridge (UK) until the end of 2016 and researcher at the Centre National de la Recherche Scientifique (CNRS, France) until the end of July 2017. She has also been Honorary Research Associate at the University of Birmingham (UK) since 2009. Her research interests concern formation pathways, processes, and impacts of atmospheric aerosols; and trace analysis of contaminants in remote, rural, and urban environments. She is author of 44 peer-reviewed papers, of which 39 appear in Scopus search (using distinct author set facility), cited about 1500 times, H-index = 19. The publications straddle topics including atmospheric science, environmental and analytical chemistry. Giorio et al., Journal of the American Chemical Society, 2017. In this study we developed a novel method to characterize highly reactive and atmospherically relevant radical intermediates in situ, providing for the first-time unambiguous identification of key highly reactive species that have previously eluded chemical analysis. Giorio et al., Faraday Discussions, 2017. In this study we demonstrated that the above mentioned analytical method is applicable to many different organic radical species opening up the possibility of characterizing these highly reactive and short-lived species in many areas of physical and organic chemistry where radical reactions are studied and deployed. Giorio et al., Analytical Chemistry, 2015. In this study we developed a novel method to characterize nanopatterns on plant tissues using direct surface analysis techniques, allowing for the first time to characterise surface heterogeneities in petals of Hibiscus trionum flowers. 1. Caratterizzazione della componente organica di aerosol e nebbia di Henties Bay (Namibia) tramite cromatografia liquida accoppiata alla spettrometria di massa ad alta risoluzione. 2. Studio della formazione di complessi metallo-legante nell'aerosol atmosferico e dei loro effetti sulla salute umana in ambiente urbano. 1. Caratterizzazione chimica ad ampio spettro dell'aerosol vulcanico proveniente dall'Etna. 2. Studio teorico o sperimentale della formazione di complessi metallo-legante nell'aerosol atmosferico urbano di Padova. E' disponibile un assegno di ricerca di 24 mesi dal titolo "Sviluppo di un sistema di misura per la determinazione di traccianti di attività biogenica nell’aerosol e nelle carote di ghiaccio basato sull’ Extractive Electrospray Ionisation Mass Spectrometry (EESI-MS)". Scadenza 9 maggio 2019.